If you’ve been on the University of Wyoming campus recently, the Centennial Complex is a hive of activity that’s hard to miss. 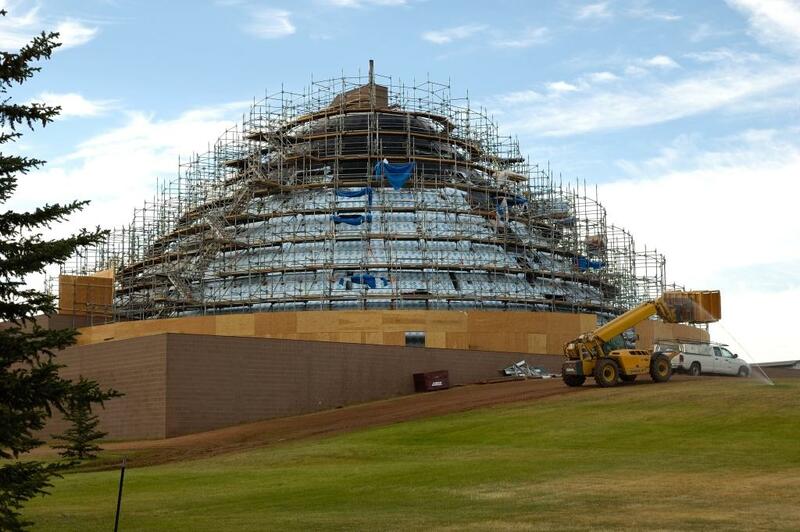 Covered in scaffolding while the building receives a new roof, the construction project is well underway. You can see the progress, too! 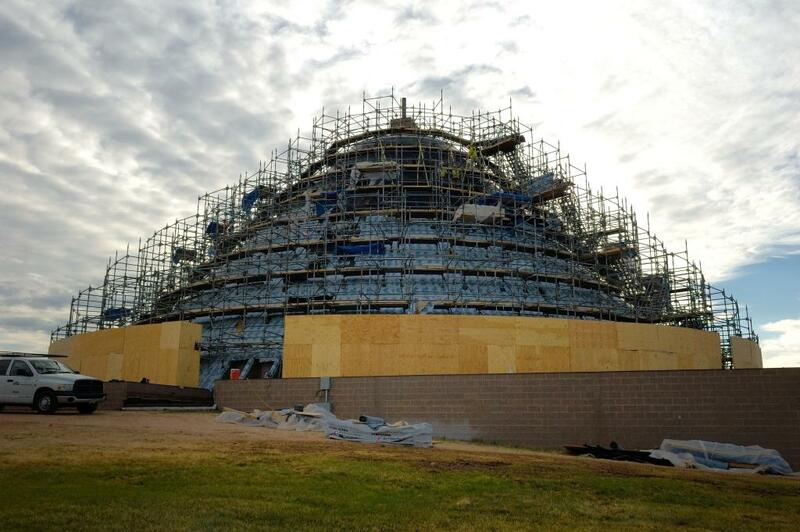 The portions of the roof covered in white plastic sheeting show what’s been done so far–this is the first layer of watershield, meant to provide a waterproof seal to protect the collection material that this building contains. Take a look to see how the project is progressing . . . Despite appearances to the contrary, the Centennial Complex is indeed open during construction! Stop in to look at the exhibits in the Art Museum or to visit the American Heritage Center. Work on the underlayer is more than half-way done on this side of the roof. We’re getting there! A project this size needs lots of heavy machinery! From this angle, the building looks like a bustling space station! 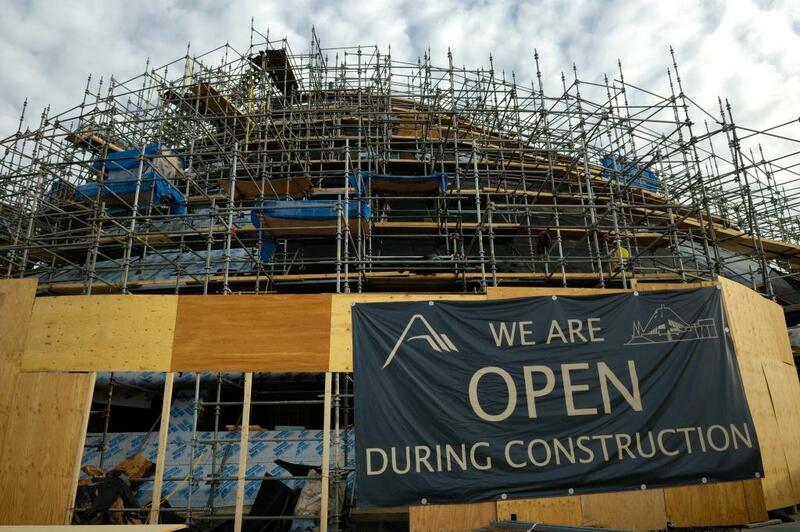 This entry was posted in Construction, University of Wyoming and tagged American Heritage Center building, construction, re-roofing project, scaffolding. Bookmark the permalink. 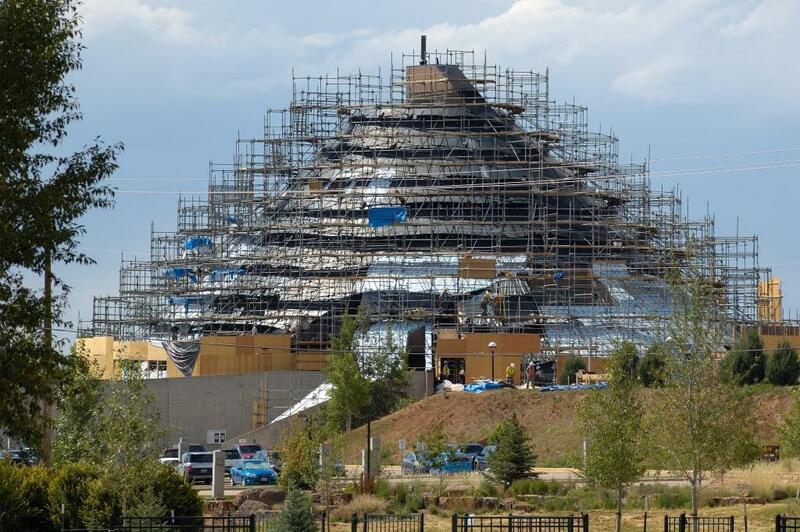 The big “take-off” of the scaffolding is due to happen in November when the project is complete. Impressive to see how big this renovation is. I am wondering if vinyl windows are being used which on the long run will save a lot of money on maintenance costs.